Sgt. Gordon W. Kinney, son of Mr. and Mrs. 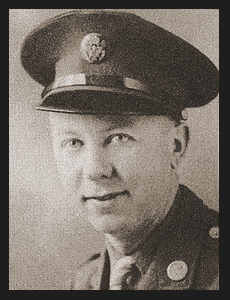 I. W. Kinney, graduated from Tipton High School, attended Altus Jr. College and Okla. Univ. Entered Air Corps in Nov., 1941, trained in Keesler Field, Miss., and Brookley Field, Ala.; served in England; was killed in action in Aug., 1944. Received Am. Defense Ribbon, Good Conduct Medal, ETO Ribbon, Pres. Unit Citation with Oak Leaf Cluster.